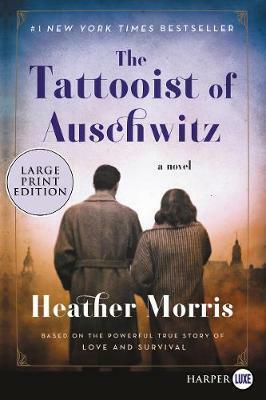 Based on interviews author Heather Morris conducted with Holocaust survivor and Auschwitz-Birkenau tattoo-ist Lale Sokolov, The Tattooist of Auschwitz is a heart-wrenching, illuminating, and unforgettable tale of hope and courage--a love story in the midst of the Holocaust. In July 1942, Lale, prisoner 32407, comforted a young girl waiting in line to have the number 34902 tattooed onto her arm. Her name was Gita. From that moment, Lale was determined that he would one day marry her. Based on a powerful true story, The Tattooist of Auschwitz is the tale of the man forced to create one of the most potent symbols of the Holocaust. It is also the story of two survivors who finally lived a life of happiness and peace.